In this tutorial Fab reveals his techniques on how to "listen" so that you hear what you are aiming for. Tips that make it easier right from the start to record and mix those songs that deserve to make it to their full potential. We all know how to hear, it's natural, but knowing how to listen is a learned skill. It takes practice and it takes thought. 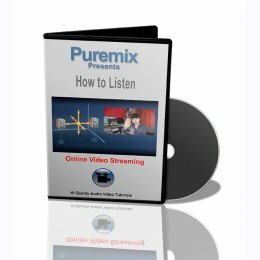 Knowing how to listen is the key to making better and faster decision during the process of recording music. In this video, Fab shows you how to focus your attention on parts of the signal, explains memorization process and habits and warns you aginst the most common bad habits. Because a lot of the listening process is based on emotions, intuition and impressions this video uses psycho-acoustics to show you the most common pitfalls of focused listening.